Originally printed in Hamodia magazine. 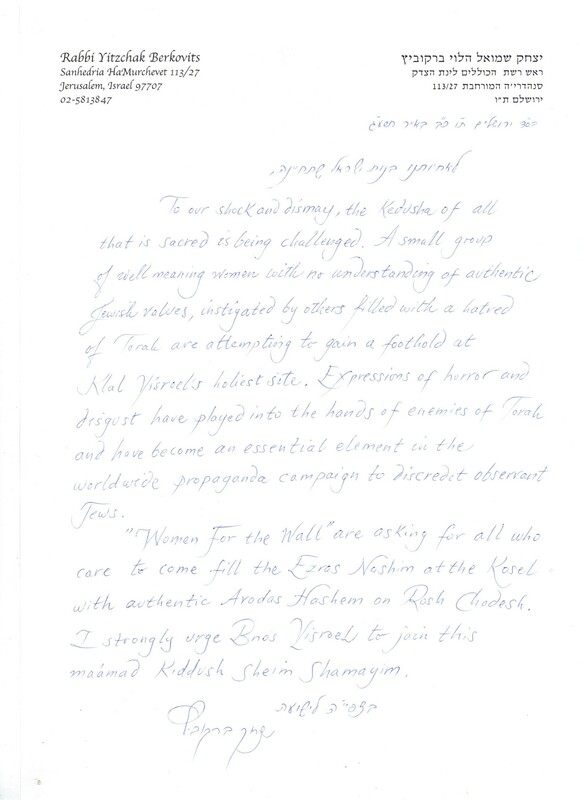 Although I go to daven at the Kosel every Rosh Chodesh, I no longer choose to go for Shacharis because I find the presence of the Women at the Wall, with all its ramifications, both disturbing and uncomfortable. every week of every month — davening and saying Tehillim. ramp ,past the sinks, with women and girls davening, just like at Birkas Kohanim. heavy police presence, including border police — a lot of them women. gathering was a success as it passively prevented them from being where they usually are near the Kosel. all the attention. I stood right behind the barrier, uncomfortable with my close proximity to the event yet I had a view of the whole Kosel area. 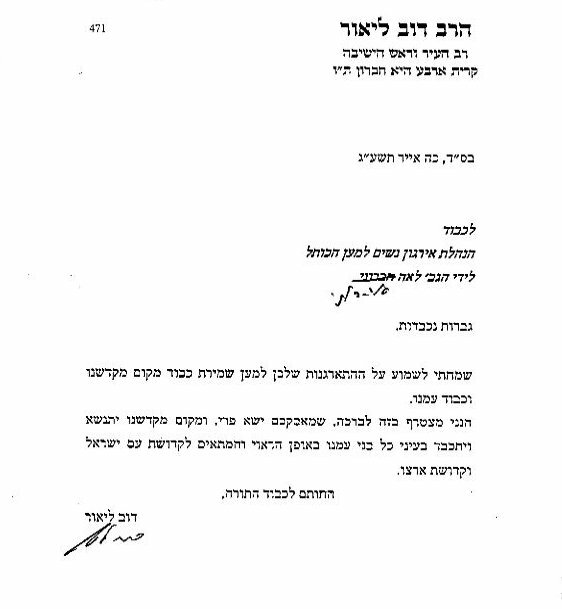 HaTorah, Birkas Kohanim – business as usual for Rosh Chodesh. 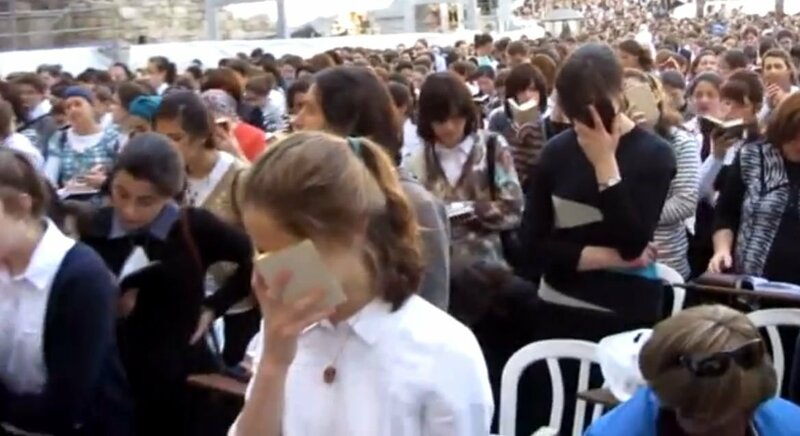 It was a kiddush Hashem to see the decorum of the thousands of girls, many oblivious to what was going on as they davened with kavanah, and in the Kosel area itself the atmosphere was like on any other day. the people around them have at least as many rights as the group does, if not in fact much, much more. Gedolim to come and daven at the Kosel this morning. He said that he was proud of their display of kiddush Hashem. Now he told them to start going back to the buses which were waiting to take them back to seminary and slowly the girls started to leave. Is that a normal / halakhic response to prayers? Even if these weren’t fellow Jews, would it ever be appropriate to whistle while someone else was praying? OMIGOSH, Jon! A Jew in Israel did something inappropriate. And that means exactly what? Must be those horrible ultra-ultras at it again and aren’t they all terrible and uncivil?! Actually, if I am correct it is never appropriate for a Jew to whistle. Ever. The real point is that there are thousands upon thousands of Jewish women who pray at the wall and have no problem with tradition. A few feminist agitators have decided to make their socio-political point by using the most sacred spot to all Jews as a political pawn. I would compare this to the small, bizarre church group who blame American war deaths on the acceptance of homosexuality. They are entitled to their opinion, but the decision to use the venue of private funerals of soldiers killed in action to gain media attention is just plain wrong. To some people there is nothing sacred if it serves their agenda. Fascinating is the irony of the so-called “Women of the Wall” using what is regarded by most as an act of desecration to make a point they call sacred.